It’s for the new piece of public art which is coming to a beach near you very soon. The first concrete block to be cast is for Mary’s Shell, a huge structure that you’ll be able to go inside, that will cover with each tide to be revealled when it goes back out again. The sand was dug away and a form positioned in the hole, so that concrete could be poured into the shape to set and form a stable base for the shell to be sat on. 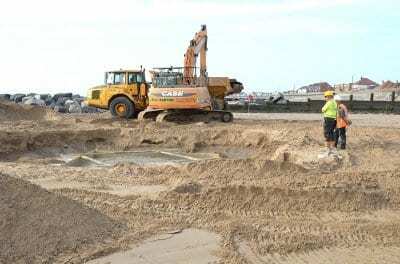 It was a race against the tide, with the diggers taking the form out onto the beach as the tide was retreating, and as soon as the water had gone the hole was dug. 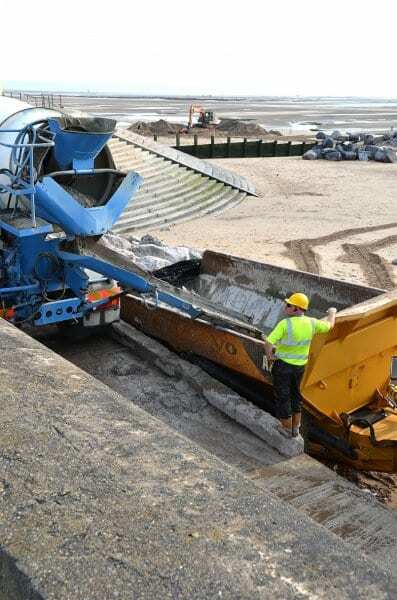 Concrete mixers delivered the wet cement, which was carried across the beach in the dumper truck. 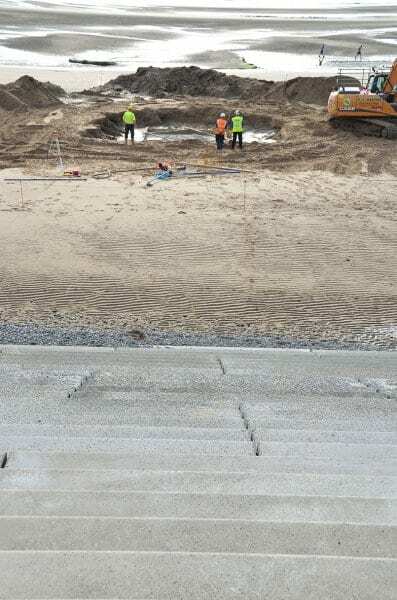 A second base has also been cast, which will be the resting place for a strange man who will live on Cleveleys beach, to be revealed each time the tide goes out. Catch a glimpse of the first image of the Ogre on Cleveleys beach here.